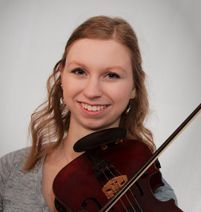 Robyn plays and teaches both fiddle and concertina. She is a two time Midwest Fleadh champion in concertina and has competed for an All-Ireland title five times as a soloist and in ensembles. She has an effortless and flowing style. This Clare-influenced style can be heard on the CD The Tradition Continues, on which she is a featured artist. The CD was named one of the Irish American News “top 20 CDs of 2016.” Living in Chicago gave her the opportunity to play alongside many All-Ireland medalists. She has been teaching music since age fourteen and is currently studying biology and secondary education at Butler University.